- Only a few levels. Hangar, Defence and Map screens are done. 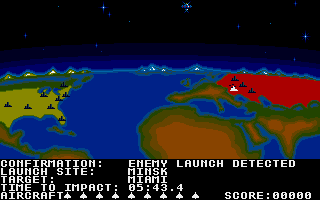 It's completely missing the Scrolling Approach, Kremlin, Reactor and end cutscene. - Completely unoptimized. There's no usage of hardware sprites, text rendering is done much more often than actually needed etc. As such, the Hangar screen runs sluggishly on a 68000 (it's OK on a 68020). - Done within extremely tight time constraints during the gamedev event I'm at this weekend, so it's very unrefined. If there's any demand I may finish it off one day. ADF Image, CD32 ISO and the straight files are included. Edit: Forgot to mention, at this stage you need a two button pad (no keyboard support). Button 1: Shoot. Climb in the Hangar scene. Button 2: Switch to Hangar from the Map scene. Open doors in Hangar. Last edited by earok; 29 October 2016 at 06:34. 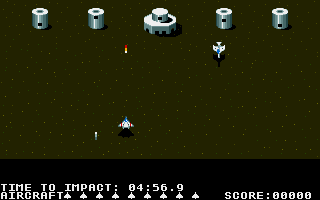 I tried playing this game on c64. Had no idea what I was doing. Nice to see an amiga port if possible. Me and my best mate loved this game on the 64 - would love to see this completed! I was waiting for ages the Amiga version. Great job so far. Looking forward to see this C64 classic on the Amiga. That's indeed something nice intead of improving crappy ST to Amiga ports. Looking forward to see this C64 classic on the Amiga. Dammmm I cant get out the flight bay. It would be great to play this gem on our beloved computer! I guess someone is going to need to create music / sound effects? As you head towards the exit, keep the fire button pressed for some altitude. Tah-dah! Earok please please finish this, it's spot on! I can help you out with audio if you want. I love this game! 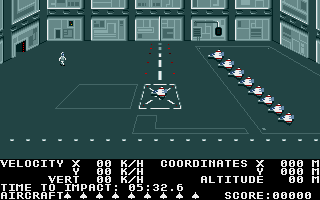 LOL; do you know how many years ago it was when I played this on my C64?